Warehouse Basic is designed for companies in all sectors of activity, because to be able to work efficiently in the factory, it is essential that storage runs smoothly and economically. Items must be found and made available quickly, to avoid production stoppages and to guarantee fast delivery times. To carry out these manual goods movements would today be an extremely difficult and time-consuming task, as well as a complicated and time-consuming one. To be able to make storage just as functional in a fully automatic process, it is necessary to create an electronic helper, which can centrally monitor and control all processes. In particular, in high-bay warehouses, it would be impossible to accomplish this task without such assistance. For this, warehouse management software is essential, a reliable electronic help, tailored to each company. 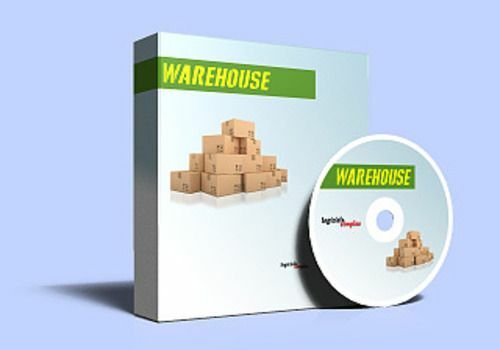 With Warehouse Basic, managing a warehouse becomes an easy task and requires no special knowledge. Manage the entire supply chain in the warehouse: reception, storage and inventory. Determine the minimum stock level to initiate product replenishment. - Product entry (Description, image, characteristics, minimum stock, weighted average purchase price,...). - Entry of entries (Good receipt, Entry form, Transfer form,...). - Entry of issues (Delivery note, Issue note, Transfer note,...). - Issue various reports (Inventory, Alerts, stock movements). - Actual stock status with receipt and issue quantities. - chronological stock movements (global and by product). - Minimum stock alerts to know when to replenish products. - Know precisely the inputs and outputs over a given period of time for each individual product.